Get More Views of Your Videos, More TARGETED Traffic To Your Website, More Subscribers to Your Opt-In Page, and More Sales 24 Hours a Day! 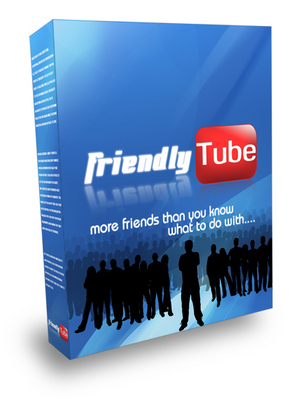 FriendlyTube - The Easiest Way To Grow Your Friend List on the Internet's Most Popular Video Site. You Can Also Use FriendlyTube to Send Messages To ALL of Your YouTube Friends On Autopilot!